Dynamic vector background design with a mix of blue spiral light rays, white decorative filigree and a white center circle surrounded by splashes of bright colored paint. 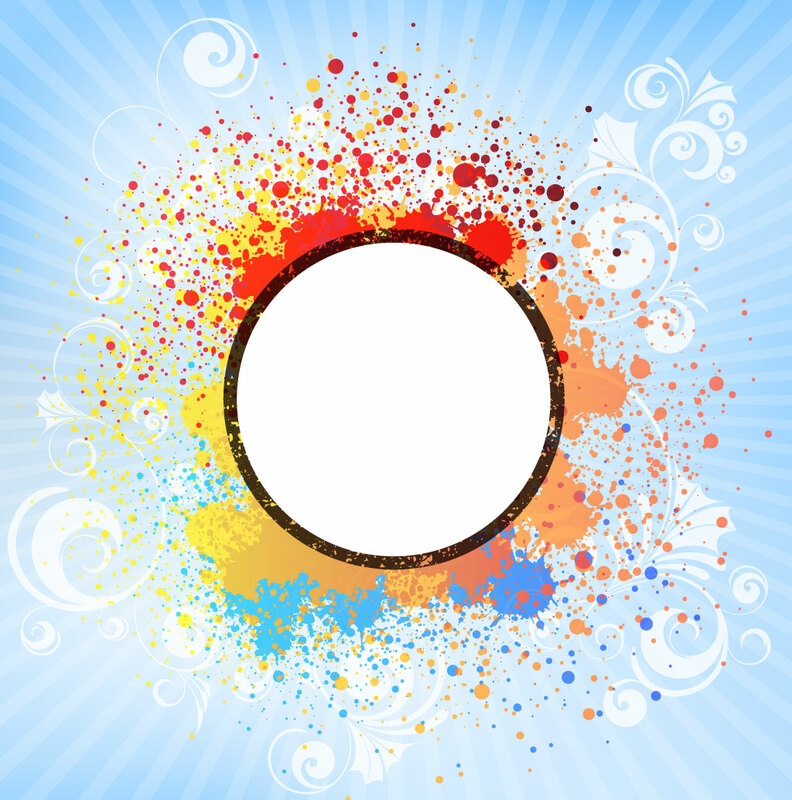 Download this free stock tile footage for a creative photo frame or exciting CD cover art. Tags: Burst, Colorful, Drip, Ink, Liquid, Paint, Scroll, Splatter, Spray, Texture.